Yay cloth! I first thought that my little didn’t like the bulk of the cloth diapers either, but when we have her in the disposables (overnight) I notice a definite increase in skin irritation. 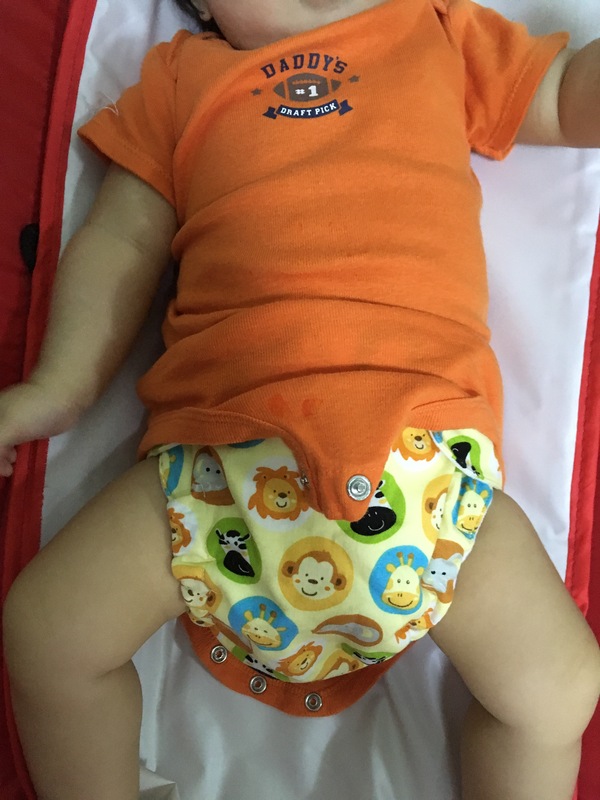 I haven’t yet had any issues with cleaning up poop because she is EBF and breast milk poop is water soluble and can be placed directly into the wash. I’ve got another 3 months or so until I have to worry about solid food poop – oh the joys! T is EBF too, but I still find her poop messy and yucky to handle especially when she has a poonami after not pooping for 2 days 😂😂 So not looking forward to solid food poop!